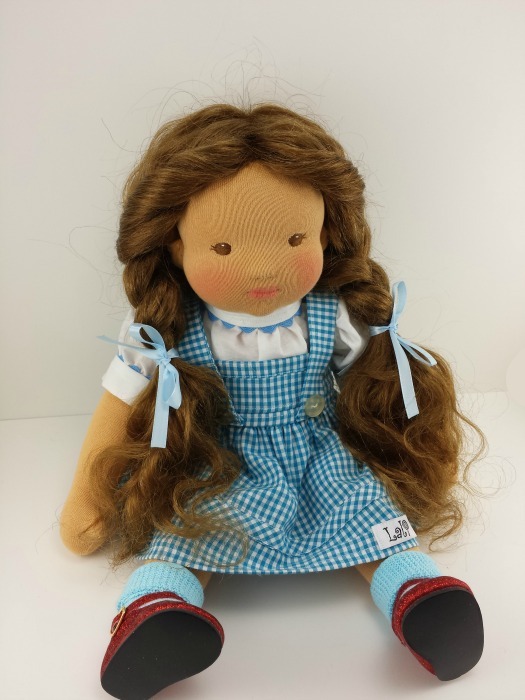 I have finally made a Dorothy doll. I have been wanting to make her for so long. This week, I’ve watched “The Wizard of Oz” a LOT. I wanted to make sure I got her costume right etc. This movie never gets old. Even if you’ve seen it 3 times in one week. I noticed lots of things I didn’t notice before though, like the string holding up the lions tail, the length of Dorothy’s hair changing throughout the movie, her shoes in some scenes are back to the little black shoes even after she was suppose to have ruby slippers on. I still laugh every time Dorothy slaps the lion! 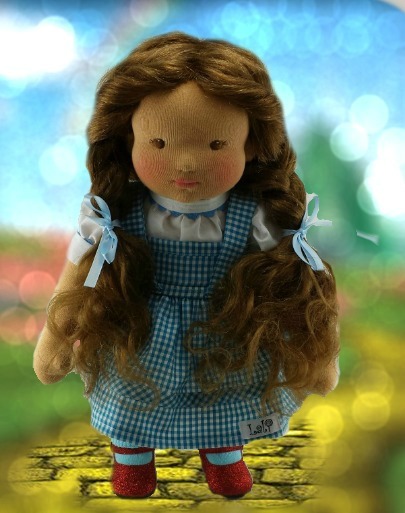 If you would like the chance to bring Dorothy home, she will be available to purchase on Saturday Nov 2nd at 7pm ET in the shared Dollectable shop. I do have her listing available for preview now.